Toshiba presents a portable rechargeable speaker that is equipped with Bluetooth and USB playback. 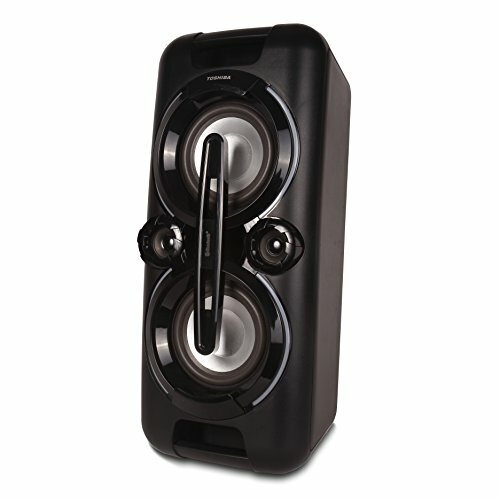 Super bass will deliver a more powerful Deep bass which makes it perfect for the use indoor and outdoor. LED lights flash to the beat of the music. Also, has a quick charging battery and a karaoke input for your microphone and a Mono jack for your guitar.